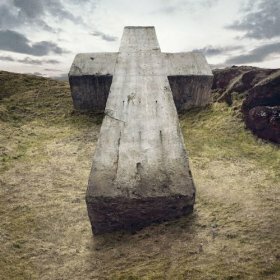 Audio, Video, Disco., Justice’s new album, sounds as if the French duo tried to mix together the styles of Daft Punk and Air circa 10 years ago and then rebranded it as their own. And they got pretty much universally panned for that. Very few critics gave this album a positive review and it’s easy to see why. Where the opener, “Horsepower,” is a fun, funky number that misses a little oomph, but is a fine intro, the album just doesn’t find itself. Stylistically, Justice opted to go back in time and use the more playful electro-pop sounds that made them famous in their beginnings. There’s nothing wrong with it except that they don’t seem to have a plan. It’s almost as if they had started Audio, Video, Disco. with the concept to go retro, couldn’t pull it off in the studio, and still went through with it. The vocal tracks are uninspired, the citations of classical music don’t sound smart, but lazy, and the disco drums have no charm. Where Daft Punk at least always went balls-out, Justice almost sounds scared on this record. And yet, there is something strangely appealing about Audio, Video, Disco. Listen to it at work and you will appreciate its loud bounciness; listen to it while you work on an art project and you will appreciate how little attention you have to pay to it. I realize that that’s probably not the kind of endowment Justice hopes for, but there is something to be said for an electro album that doesn’t perturb and can be consumed without any effort. It’s not bad music. It’s just inoffensive.